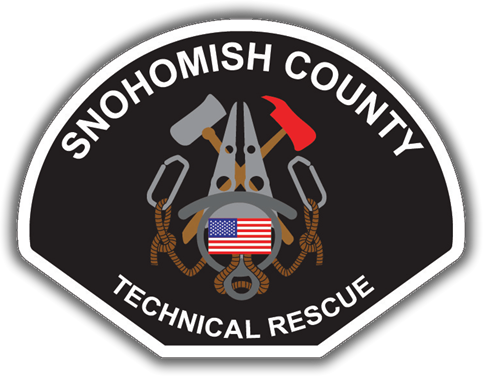 The Snohomish County Technical Rescue Team is one of the largest multi-jurisdictional teams of its kind in the United States. Technicians from nine participating fire agencies provide assistance in Trench, High and Low angle Rope, Confined Space, and Urban Search and Rescue emergencies. A tiered response system provides four main rescue apparatus strategically placed throughout the County, supported by five other 'rope only' units. The team is governed by the Special Operations Joint Policy Board and administratively supported by the Emergency Services Coordinating Agency (ESCA) of Snohomish County. The Technical Rescue Operations Committee holds regularly scheduled meetings with representatives for operations, training, and equipment. The committee's objective is to provide assistance for any technical situation that may arise within the Counties scope of emergency response, including diverse industrial operations.